GoaGPRS is a registered non-government organisation based near Cavorem, South Goa. Heavily dependent on volunteers, we respond to calls from the general public about injured, sick, and abandoned animals in need of rescue. Our coverage area is from the Southern beaches of Goa to inland Quepem and south to Bali. 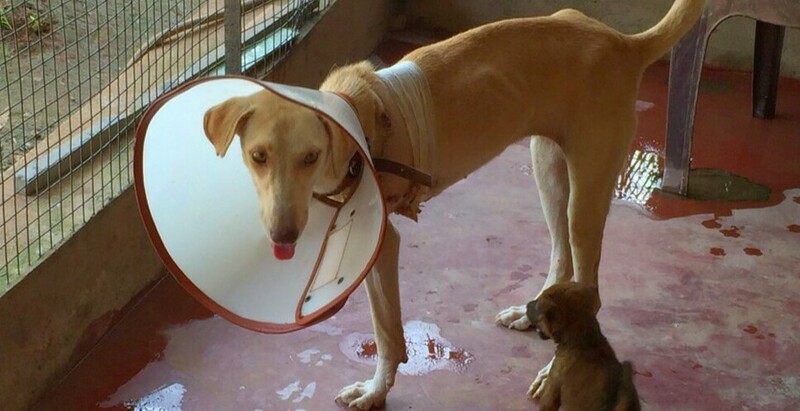 GoaGPRS receives no government funding, so we are funded entirely by donations and gifts in kind, Compassionate members of the public who call to report an injured animal are expected to sponsor the cost of treatment and transport. By sponsoring the rescue of homeless animals, people tend to become emotionally invested in their welfare. We often see individuals continue to care and feed the animal rescued by them after recovery and release. We offer medical help and support, providing not just a lifeline for the animals, but promoting positive change in attitudes toward the most vulnerable animals in the streets.